Individuals who have suffered serious and permanent injuries as a result of a car or motorcycle accident may have a legitimate claim for compensation. Regardless, most lawsuits that are commenced end up being fought between lawyers representing both sides. While most lawsuits settle before trial, there are still many that do not and that end up being heard at trial by a jury. While you may think that a jury will be sympathetic to your case and award you with the compensation you deserve, leaving your fate in the hands of a jury is always a risky endeavour to some extent. 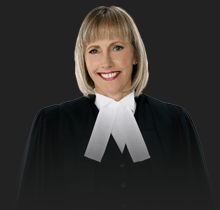 To make matters worse, there is a lot of information that the jury is unaware of (and which they are not permitted to know about) regarding the motor vehicle accident lawsuits. The first is the issue of insurance. The jury is never told that the defendant(s) has insurance to pay (either in whole or in part) for the claim being brought against them. In fact, the actual defendant(s) who is alleged to be at fault for the accident has virtually no involvement in the lawsuit itself. It is the insurance company that the defendant(s)’ vehicle is covered under, and the representative on behalf of that insurance company, that is involved in the litigation process. Most often, the only time the actual defendant is involved in the litigation process is during examinations for discovery, a step in the litigation process that often occurs years before the trial. At trial, the jury will never hear any reference to the defendant’s insurer, insurance policy, or what the monetary limits of the policy are regarding lawsuits. Another issue that juries are unaware of is the issue of threshold. Even if you are involved in an accident where someone else is determined to be at fault, and even if you have suffered injuries as a result of that accident, you may not have a lawsuit that is worth pursuing. This is because your pain and suffering following the accident must be a serious and permanent impairment of an important physical, psychological, and/or emotional function. If your injuries are not serious and/or permanent in this respect, you will fail to meet the required threshold and be unable to recover any compensation for your pain and suffering. The jury is never told about this threshold and its potential impact on the outcome of your case. A third issue is a deductible that is applicable to motor vehicle accident cases in particular. Until very recently, even if it was determined that your injuries surpassed the above-noted threshold, if your pain and suffering was not valued at being at least $100,000.00, a $30,000.00 deductible applied. 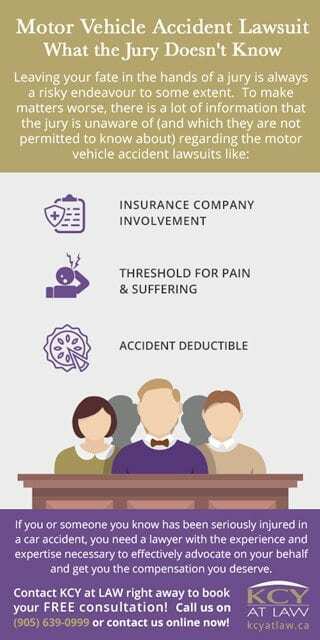 Recently this deductible has increased to $36,540.00 for all motor vehicle accident cases where your pain and suffering is valued at less than $121,799.00. This means that if a jury awards you $120,000.00 for your pain and suffering, you will only actually be awarded $83,460.00. Much like the issues of insurance and threshold, the jury does not and is not allowed to know about this important fact. If you or someone you know has been seriously injured in a car accident, you need a lawyer with the experience and expertise necessary to effectively advocate on your behalf and get you the compensation you deserve. 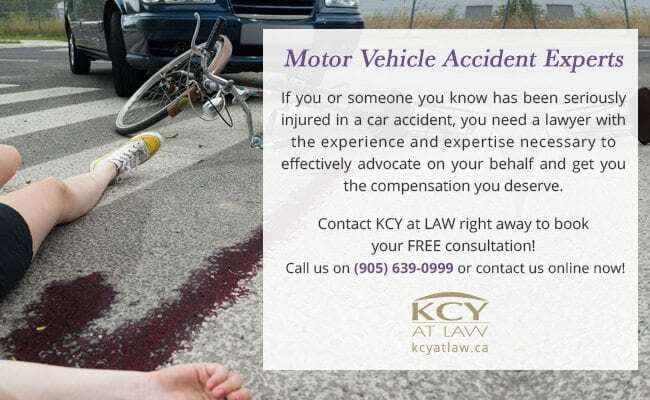 Contact KCY at LAW right away to book your FREE consultation! Call us on (905) 639-0999 or contact us online now! Who’s The Boss? The Common Employer Doctrine Terminated Within The Probationary Period?